How To Write A Will in the U.K.
Everybody needs a Will. Traditionally, it has been an expensive and inconvenient process, which involved making an appointment with a solicitor, and spending hundreds of pounds. A couple of decades ago, these barriers were addressed with blank form Will kits available from newsagents and bookshops, and even the Post Office. But these kits have always been a terrible approach for writing a Will, with far too many mistakes being made. 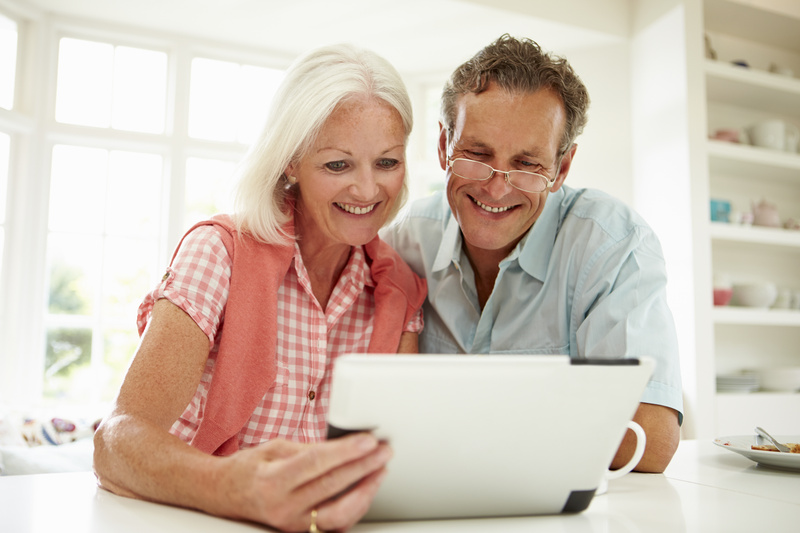 More recently, online services have appeared that allow you to prepare a Will online from the comfort of your home. The service at LegalWills.co.uk came online in 2009 and has evolved into the UK's leading online Will service. You may have been warned about the dangers of writing your own Will. But the examples given to illustrate these dangers are taken from Do-It-Yourself Will kits – the blank forms you can get from WHSmiths, and more recently Amazon. These kits expect you to fill in the blanks, but some of these blanks are daunting. Describing the distribution plan for your estate can be straightforward in a family of two parents and two children. Where the entire estate goes to the spouse, and if both are involved in a common accident, everything goes to the children. But things are rarely this simple. If the children are under the age of 18, you should set up a trust for them, and name guardians for them. The "what if scenarios" are rarely straightforward. What happens if one child pre-deceases you; would their share go to their children, their spouse, or would everything flow to your other child? If your spouse is not the biological parent of your children, then it is almost impossible to correctly fill in a blank form Will kit. If you are single and the distribution plan is less obvious, it is also very difficult to use a blank piece of paper or a "kit" to prepare a Will. The worst thing about Will kits is that you may think you have described a particular plan, but you have actually written something different. One very common error is leaving everything to a spouse, and when they die, everything goes to the children. This cannot be achieved without incorporating a lifetime interest trust. Without a trust being set up, the estate goes to the spouse, and is then distributed according to their own Will. An online interactive service guides you through the process of preparing a Will to check for errors. It asks you for your plans in plain English, and then translates your answers into an official Last Will and Testament with the appropriate legal clauses. The end result is miles away from a blank form Will kit. A Will fulfils two important functions. It allows you to make key appointments, and it allows you to describe the distribution of your estate. Within your Will you can name a person to take responsibility for everything after you have gone – your Executor. You can also name guardians for your children. You can even name somebody to take care of your pets. You can also describe how you would like to distribute your possessions. This includes charitable bequests, specific items to individuals, like a piece of jewellery to your niece. Finally, you can describe the distribution of your "residual estate". This is usually in the form of "everything else to be divided between my children" or "everything to my spouse". Without a Will, your estate is frozen until the courts appoint an estate administrator. This person will then divide your entire estate according to the "intestate laws"
This distribution plan rarely matches a plan written into a Last Will and Testament. Most people know that they need a Will. A few people may think that "I'm not going to die any time soon" or "I don't have any assets" or "it's obvious what will happen to my things anyway". But none of these excuses really make any sense. Even though most people know they need a Will, traditional approaches to writing a Will have been expensive and inconvenient. To the point that it just never makes it to the top of the "to-do" list. Writing a Will with a solicitor is so inconvenient and expensive, that people try to time the task so that it only needs to be done once in their lifetime. This means that they wait. They wait until they are married, or wait for their first child to be born, or wait until they have bought a house, or wait until they have retired. Ultimately, this results in 65 percent of UK adults not writing a Will. By using an online Will writing service like the one at LegalWills.co.uk, you can write your Will at any time that is convenient to you. You can put your feet up and work through our service on your computer or iPad. You don't have to complete the task in one sitting. If you need to consult with family on your guardianship appointment, for example, then you can save your work and return to it later. If you have given thought to your answers ahead of time, then you can step through the service in about 20 to 30 minutes (beware of services that claim to take you through the process of writing a Will in 5 or 10 minutes). The cost for our service is just £24.95. If you are a couple, then you will need Mirror Wills. Our service shortcuts this process for you with our proprietary Mirror Will service, and discounts the second document. The Mirror Will costs just £14.97 with absolutely no restrictions on the content. All the time your account is active, you can make updates to your Will as often as you wish. What makes the service at LegalWills.co.uk better than a Will writer, or blank form kit? The UK has seen a sudden growth of Will writing companies, but sadly there are a lot of unscrupulous services with a number of hidden costs. We regularly receive phone calls from people who have used Will writing services and seen their costs spiral out of control. Most recently, a pensioner who was quoted £19.95 and ended up paying over £1,500 for added value services. These hidden costs usually involve Will storage fees (a complete rip-off) or Executor fees (which should not be a part of the Will writing service). Our Will writing service has up front pricing. It is £24.95. This is all that you need to pay to prepare a legal Last Will and Testament. We use the same software as solicitors across the UK but give you direct access to it. This means that you end up with a solicitor-grade Will, at the cost of a blank form kit. If I decide to use an online service, why choose LegalWills.co.uk? LegalWills.co.uk has been offering the service for over 19 years. This is important because, over the years, many customers of LegalWills.co.uk have sadly, subsequently died, and their Wills have gone through the probate process. We have never once heard of there being an issue with one of our Wills. We are very proud of our service and customer support, which is not outsourced. If you contact our support team you will go directly to a full-time permanent employee of LegalWills.co.uk, with a comprehensive understanding of our service. This is why we have a 4.9 star Google Review rating. LegalWills.co.uk also happens to be the most comprehensive estate planning service, by some margin. We have a separate service for documenting funeral wishes. We allow you to create a handbook for your Executor detailing all of your contacts and assets. You can even upload files to your account, or create messages to be accessed by trusted "Keyholders" after you have passed away. We have developed our service into much more than Will writing. Our Will service costs £24.95. A Mirror Will costs £14.97. This is all you need to pay in order to prepare a Will. With this price, you have one year in which to make unlimited updates and changes to your Will. At the end of this year, you have the option of maintaining an account with us, which allows you to update your Will over time to reflect changes in your personal or financial situation. Maintaining an account with us is entirely optional. We do not keep credit card details on file, and we never, ever automatically charge anything. To see a full list of our prices go to our Products & Prices page. How do I make the downloaded document a legal Will? It is a very simple process to create a Will using our service. You firstly step through the service answering all of the questions. After the Will service has been added to your account, you will be able to download the document as a PDF file. You then need to sign the document in the presence of any two adults who are not beneficiaries within the Will. Once you have signed it, and the witnesses have signed, all in each other's presence, the document becomes a legal Last Will and Testament. After you have died, your Executor will take the document to the probate courts where it will be accepted as your legal Last Will and Testament, and your Executor will be given the court authority to act as your estate administrator. When would I need to update the Will and how? There are a number of reasons why you may want to update your Will. Firstly, a change in your personal or financial circumstances. If you get married, divorced, have a child or receive a windfall. You should take another look at your Will. Also, if anybody named in your Will has a change of circumstance. For example, your alternate Executor has been taken ill. Or the guardian for your children has moved overseas. Or maybe one of your children has won the lottery. You may want to update your Will just to change your plan. For example, if you have fallen out with a friend or family member, or you start working for a charity, or somebody has taken an interest in a prized possession. Any of these may lead you to review your Will and adjust your distribution plan. How long does it take to write a legal Will? Although we make the process of writing a Will convenient, it is not a race. Your Will is an important document that you should understand and it should clearly reflect your wishes. Be wary of any service that claims to write your Will in 5 or 10 minutes. It's really not possible. It is worth giving some thought to key questions before you start with our service. Who will be your Executor, or the guardians for your children. If you have a good idea of a distribution plan, including any charitable bequests, or specific items going to particular individuals, then the process will be faster. Most people prepare their Will using our service in about 20-30 minutes. Some people, depending on their family situation, may be able to race through the service in about 15 minutes. Others take their time and complete their Will in multiple sittings over a period of days. Our service is General Data Protection Regulation (GDPR) compliant. We are transparent about the information that we collect, and we treat the privacy of this information very seriously. We do not sell, exchange or share any information with any third party whatsoever. We do not receive any revenue from personal data. All of our revenue is generated from the Will writing service. We do not store any data as plain text. The answers to the questions are stored as encrypted data on our server. For example, married=1, single=2. No documents are stored in our system. Your Will only appears as a document if you login to your account and click on "download my Will". Your Last Will and Testament is then compiled in real-time. Your Will can only be viewed by logging into your account, with two exceptions: 1) You can order a professional review of the Will by one of our solicitors, or 2) You can order your document to be printed and sent to you. In each of these cases your document is compiled in order to fulfil the service. There is more information about our privacy and security on our Privacy and Security pages. Joint Wills are not really used any more. They were popular back in a day when Wills were handwritten or typed, and it saved the Will-writer the effort of having to type similar things in two separate documents. The problem was that joint Wills led to a number of problems after the first partner died, leaving the surviving partner bound by terms that no longer made any sense. Today, the need is served by "Mirror Wills". Typically, Mirror Wills are made by a couple who name each other as the main beneficiary, and then both have a plan in case they are involved in a common accident. You can still include some flexibility with Mirror Wills. For example, one partner may want to include a charitable bequest, or may have a prized possession to go to an individual. Even if you think your assets are all jointly held, you should still each prepare your own Will. Is the service at LegalWills.co.uk going to work for my situation? We have developed our Will writing service over many years. As we have received feedback, we have incorporated these suggestions into our service. Over the years, we have added Lifetime Interest Trusts, Trusts for pets, handling of overseas assets and more. When LegalWills.co.uk was launched, we felt that we could address the needs of about ninety percent of UK adults. Today we reach beyond that. But there are some situations that we cannot cover. For example, our service complies with the laws of England and Wales, so for now, we do not cover assets in Scotland or Northern Ireland. We do not support the creation of lifetime trusts for children with special needs. This is a complication that is best served by a solicitor. We do not cover all of your assets if they are distributed around the world. We recommend that you prepare a separate Will for each country in which you hold assets. If you have any doubts about your situation, please Contact Us and we can let you know if our service will work for you. Isn't this just going to be a simple Will? What about taxes? Everybody needs a Will. It allows you to make important appointments and describe the distribution of your estate. However, there are strategies that you can take to reduce taxes and fees incurred by your estate. If you do receive advice on "estate planning" or inheritance taxes, it will not affect the way you write your Will. We would recommend that you prepare your Will and not put this off to a later date. Your tax strategies and estate planning can be put off until you are ready to address this. You may need a financial advisor to help with tax planning. But your tax planning is unlikely to have a significant impact on your Will. Can I live anywhere in the UK to use this service? You can live anywhere in England and Wales. There is no appointment to be made, and you do not need to visit our offices. However, our service is restricted to the laws of England and Wales. If you own a home in Scotland or Northern Ireland, we would recommend using a service that complies with local laws. No. There is absolutely no requirement to use a solicitor in order to prepare a Will. A solicitor can provide you with legal advice, but most people do not need legal advice when preparing their Will. To make the document a legal Last Will and Testament, it must simply be signed in the presence of two witnesses who are not beneficiaries in the Will (or married to a beneficiary). If you have significant assets, including a business, we would also recommend that you speak to a financial advisor. No problem. We are very happy to help. We have a team standing by who can answer any questions. Please phone or email us using our Contact Us page. We also have a knowledge base and support ticket system at https://support.legalwills.co.uk/.